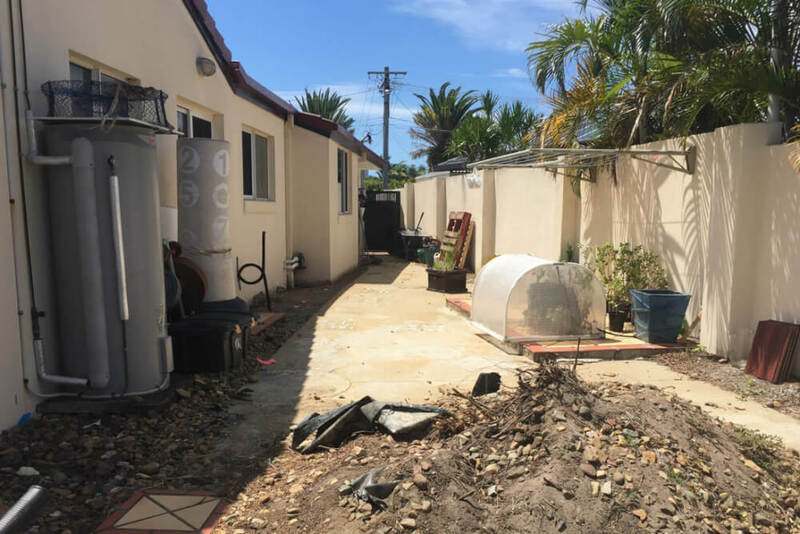 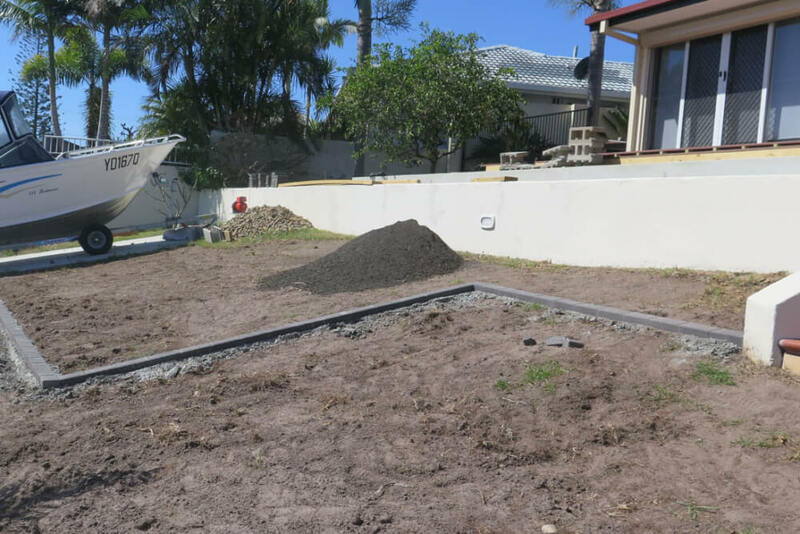 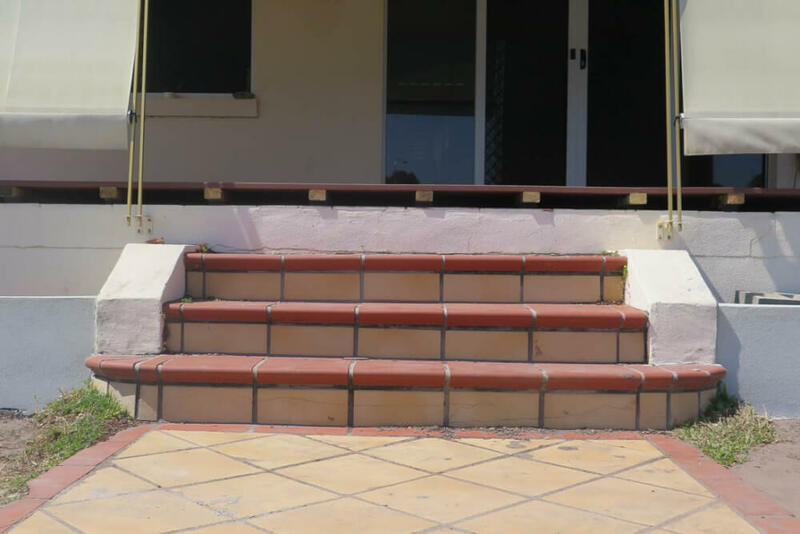 Our Isle of Capri landscaping transformation. 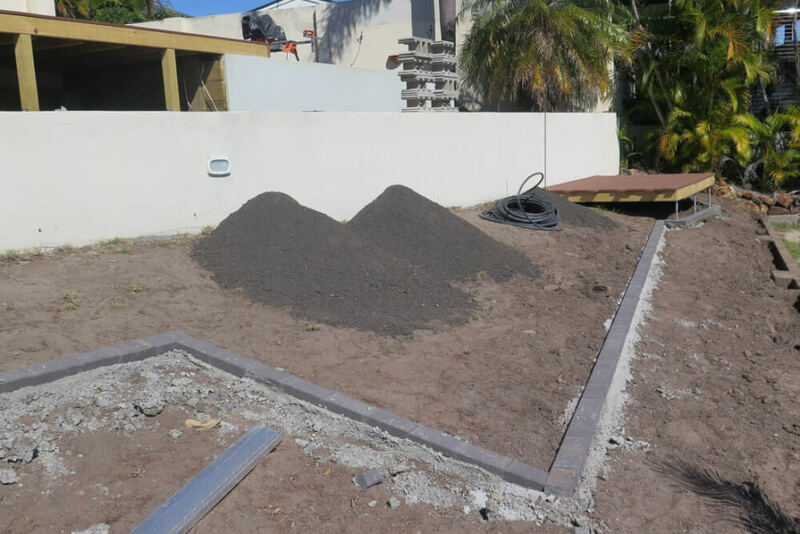 The Design team at Grotec Landscape Solutions were given the opportunity to re-think and design the landscaping for this Isle of Capri property. 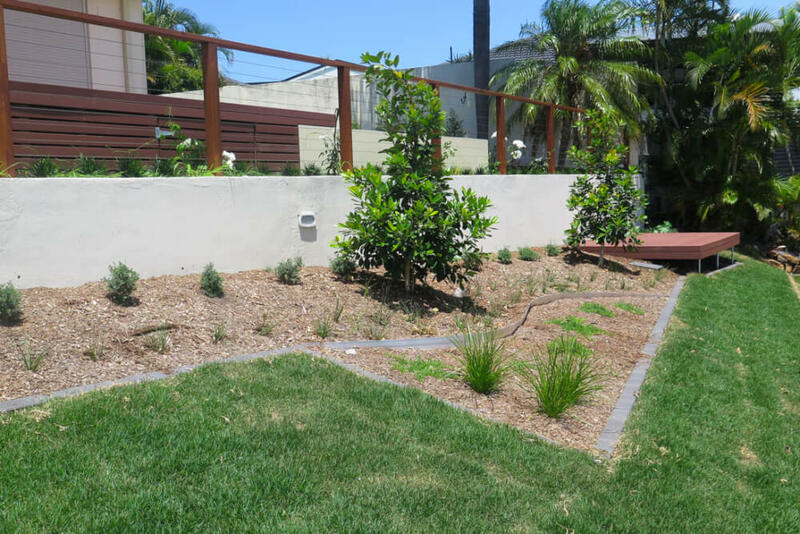 The landscaping team led by the very clever and versatile Travis Lucas did an amazing job building and completely transforming the landscaping surrounding this residence into a visually beautiful, safe and completely usable landscape which these Before & After images reveal. 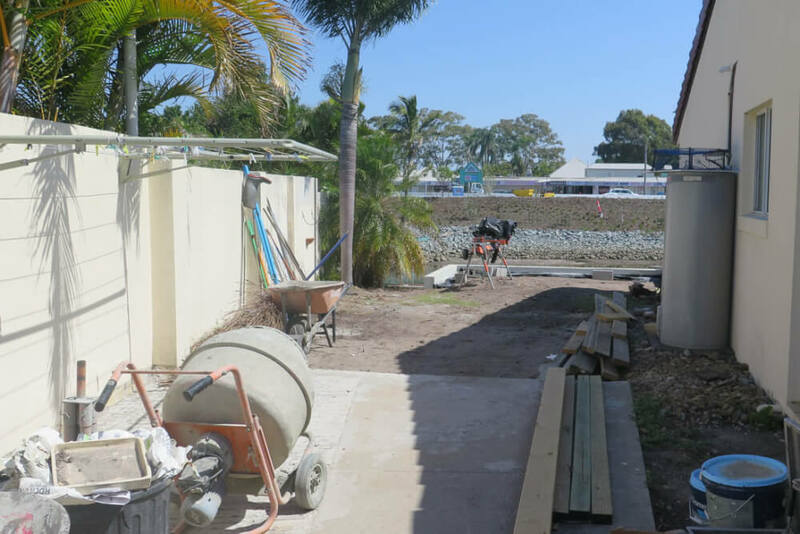 This property was in need of a complete design re-think due to a massive redevelopment unfolding across the canal. 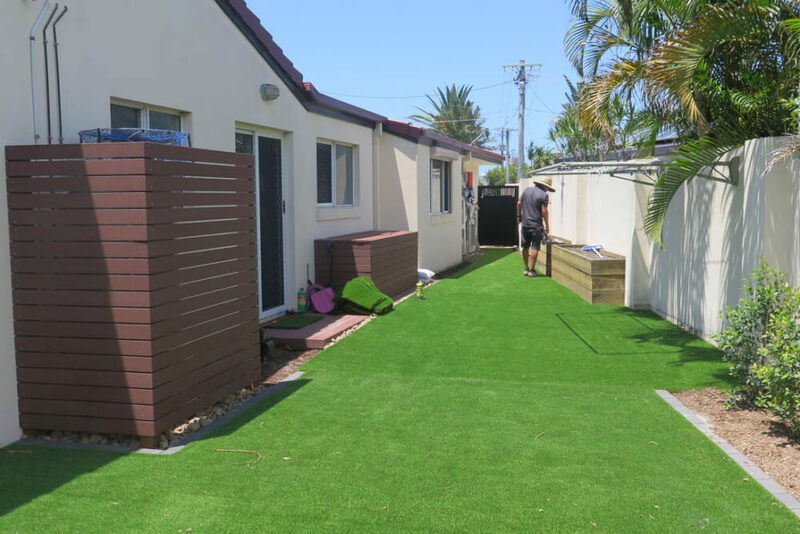 Retaining, screening, privacy, shade, low maintenance and more usable space formed part of the initial brief from our client. 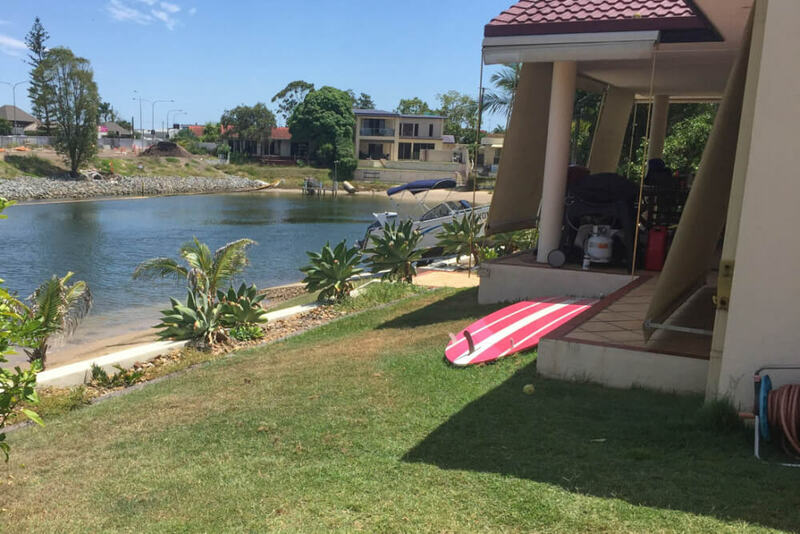 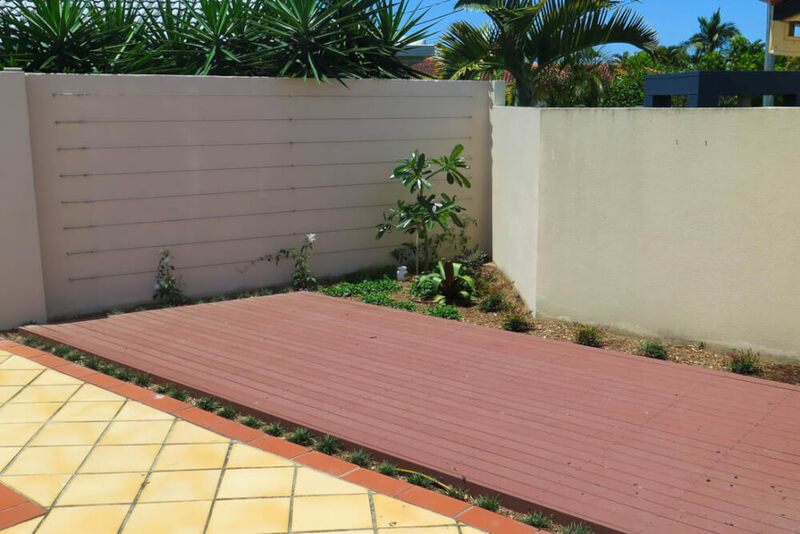 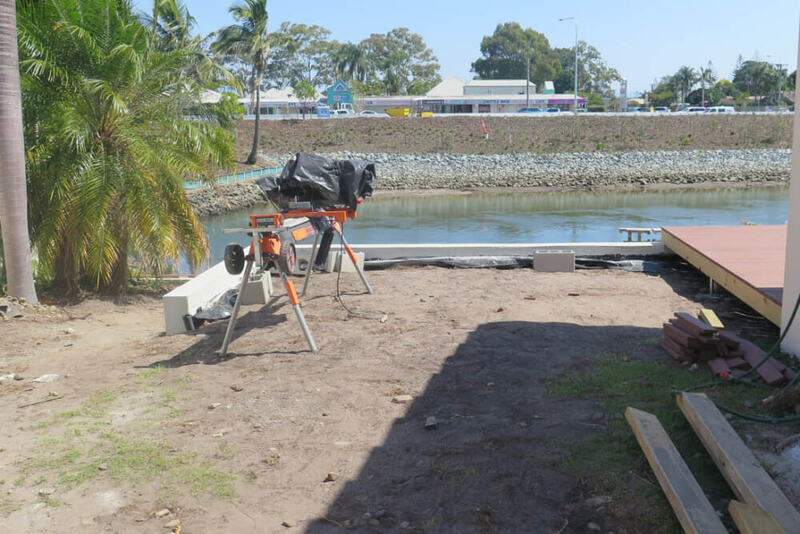 An unused and neglected beach is now a low maintenance garden which that will accommodate large canopy trees to provide shade and shelter from the western sun a small deck for fishing and a grassy area. 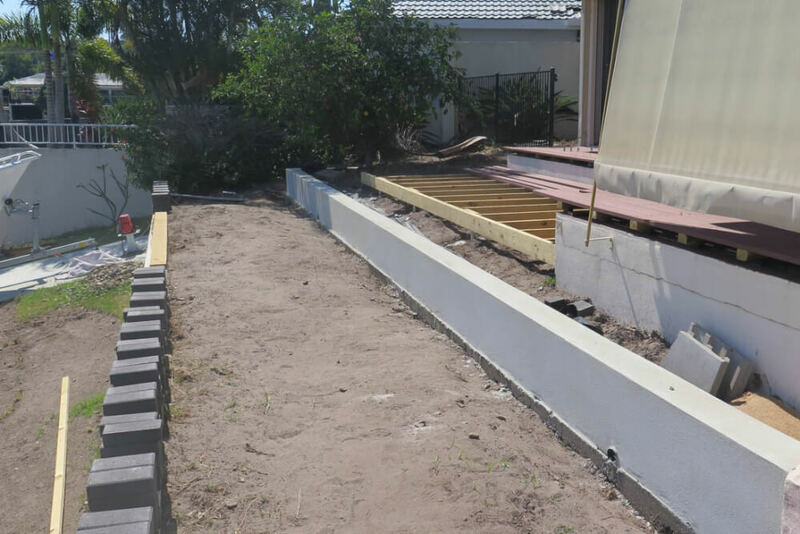 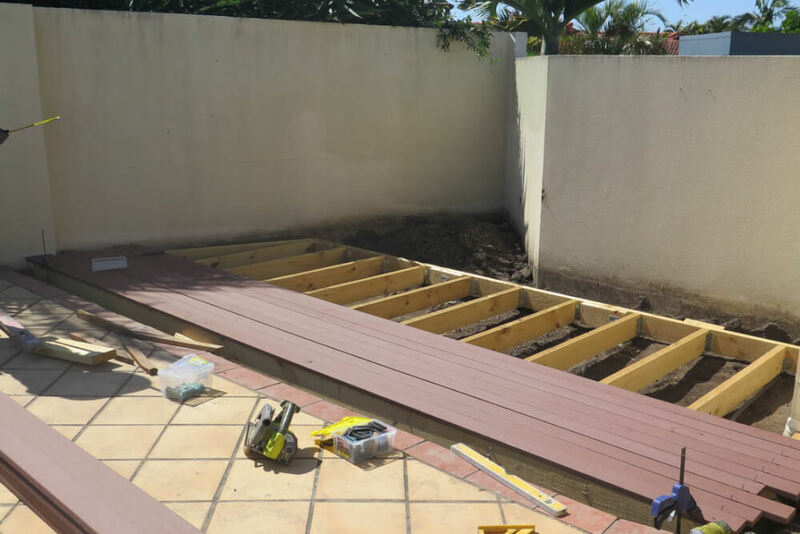 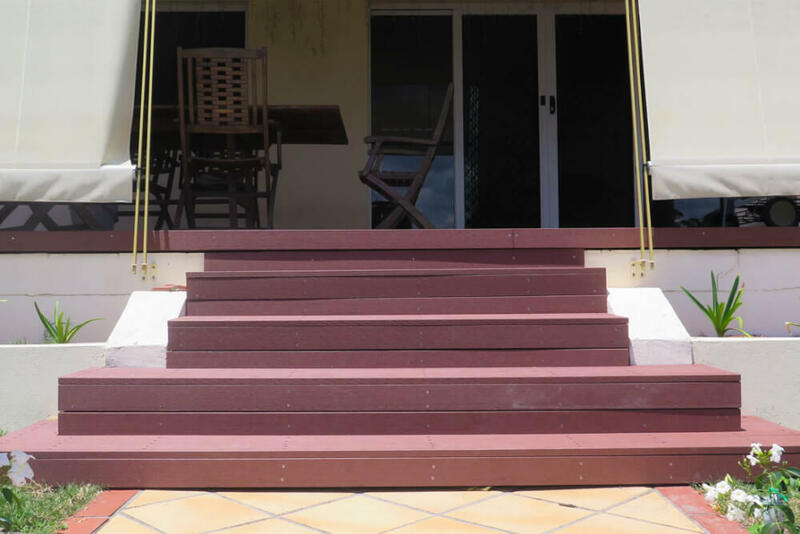 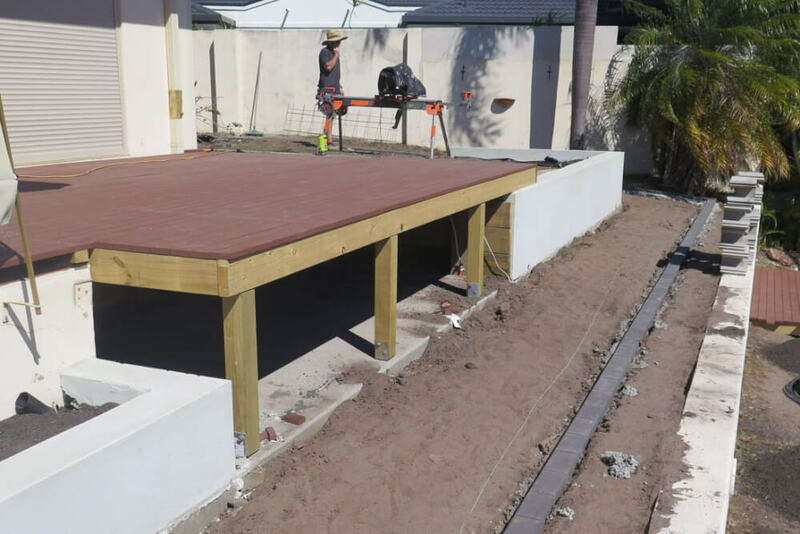 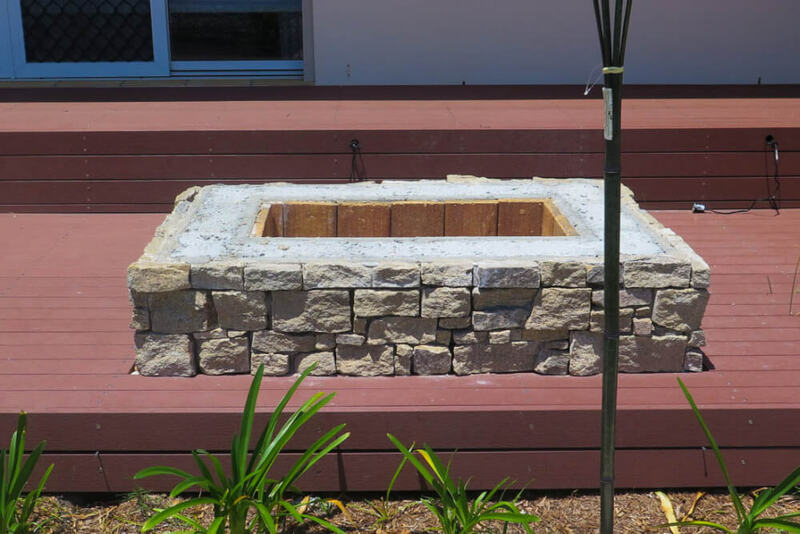 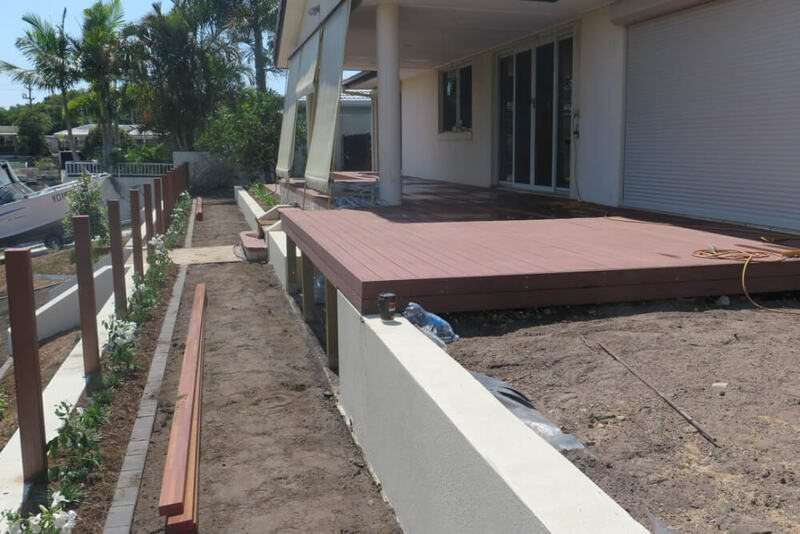 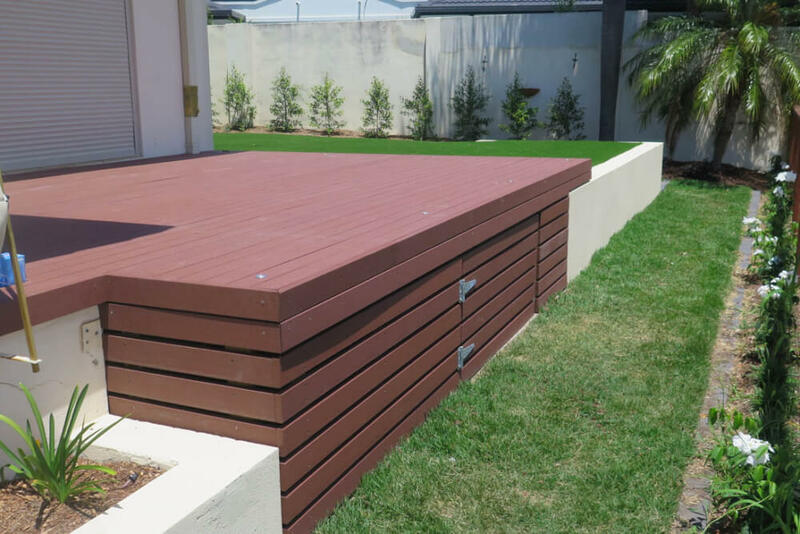 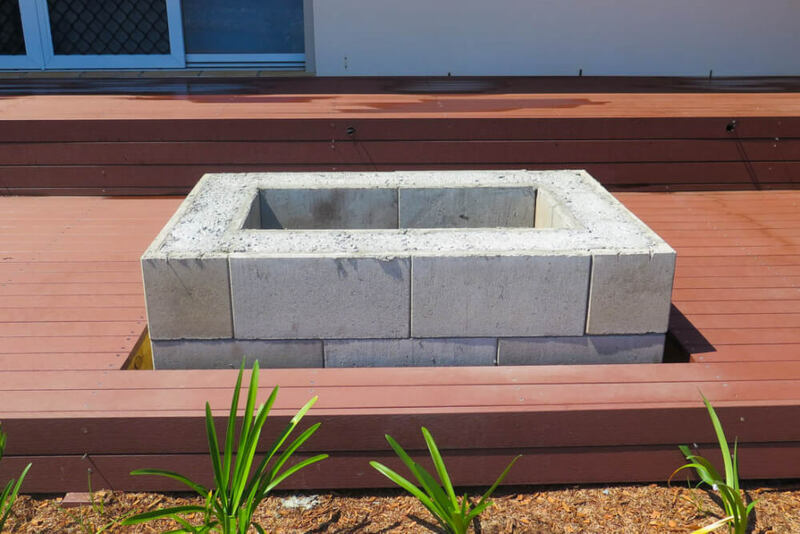 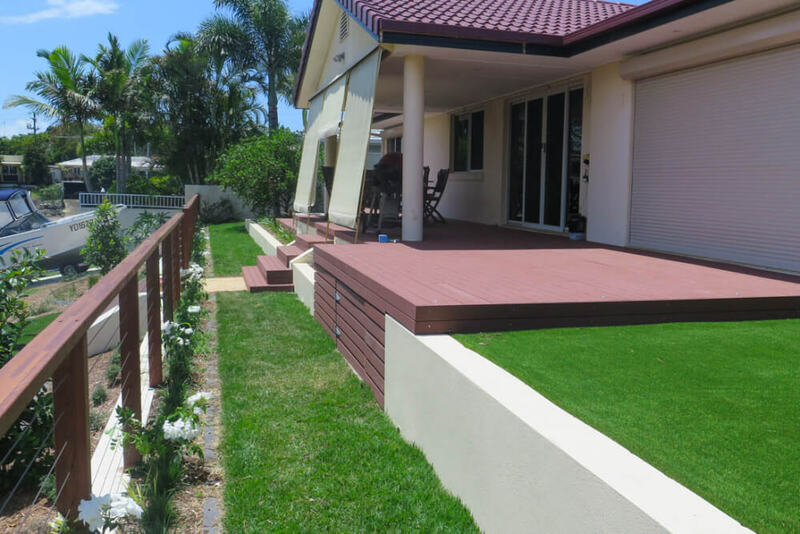 Low retaining walls were installed to lift and level the land and create usable spaces including a Modwood deck which ran along the length of the residence and incorporate a sunken deck and fire pit. 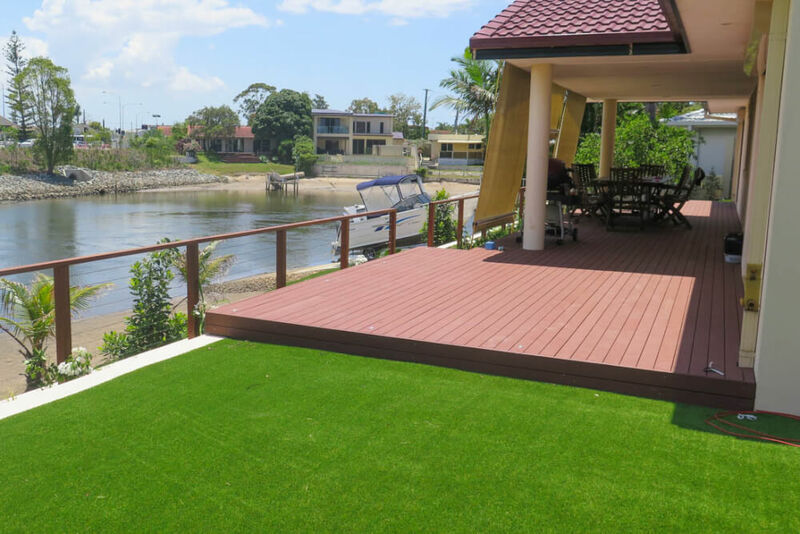 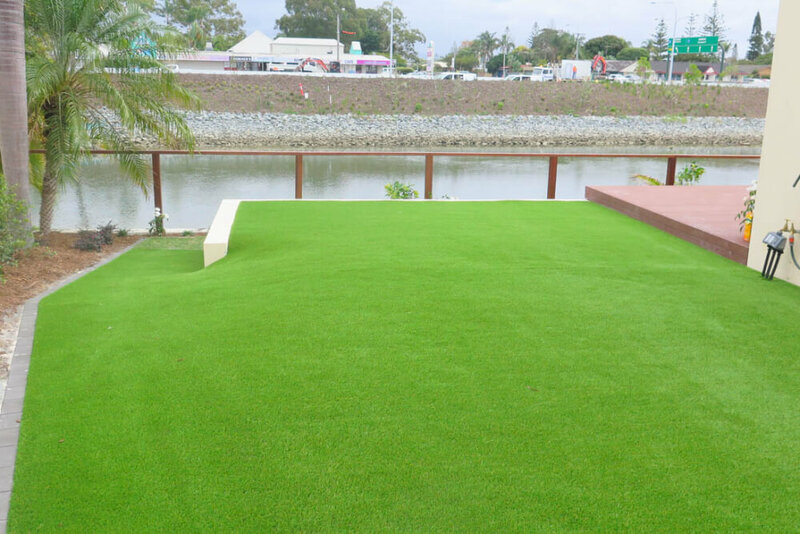 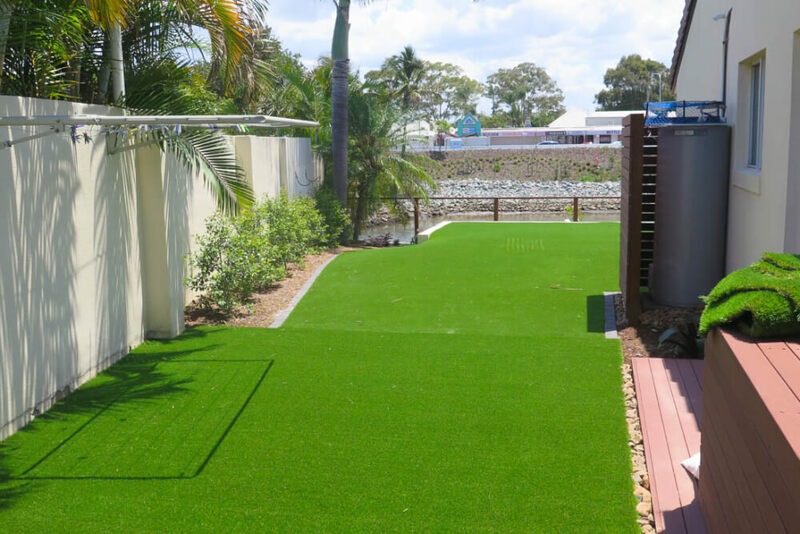 Artificial grass was laid wherever possible to soften and surface sections of old concrete and sloping bank and provide a safe and clean environment for the kids to play. 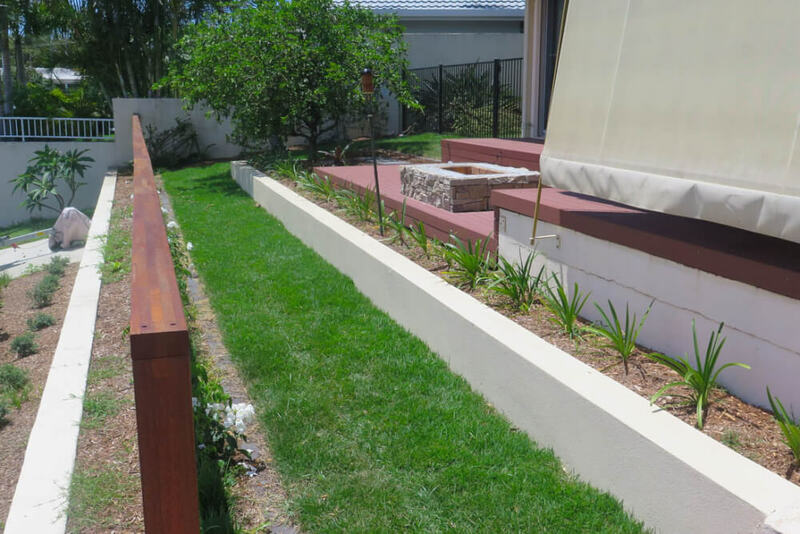 Timber ballustrading with stainless steel wires will support one of our favourite climbers the white flowering Pandorea. 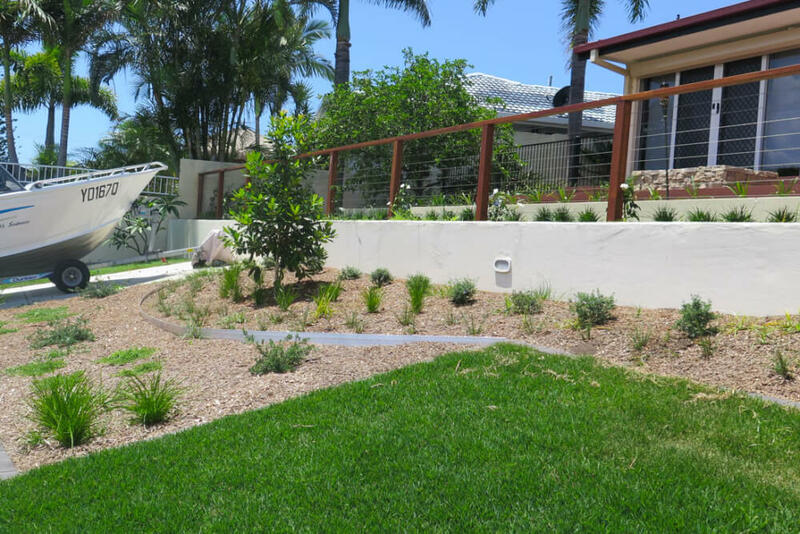 Congratulations to Travis Lucas and his landscaping team and our designer Jarred Holland who designed and facilitated this Isle of Capri landscaping project.